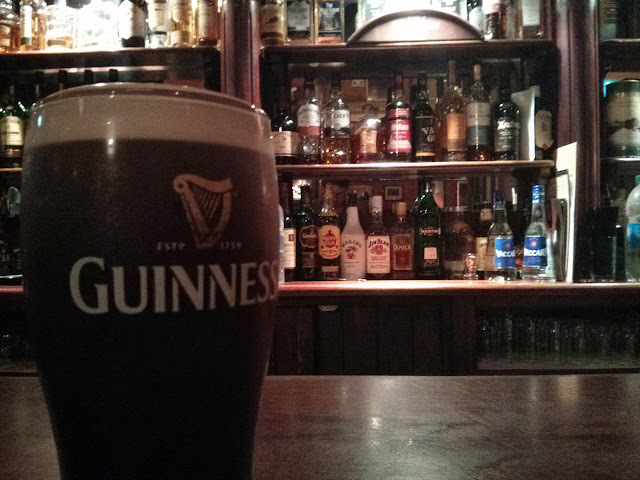 As of today I’ve been living in Dublin, Ireland for one month. Silly question. I’ve always wanted to live overseas. I vaguely recall telling someone that I was going to move to Australia back when I was still in school. Plus I’m a travel nut, and this is a great home base to explore the rest of Europe. The opportunity came up through work. Honestly, I’d felt a bit at ends lately. I needed to make a change, and this definitely counts. The funny thing is that I could’ve done this in my twenties, if I’d only known. Hard to say. 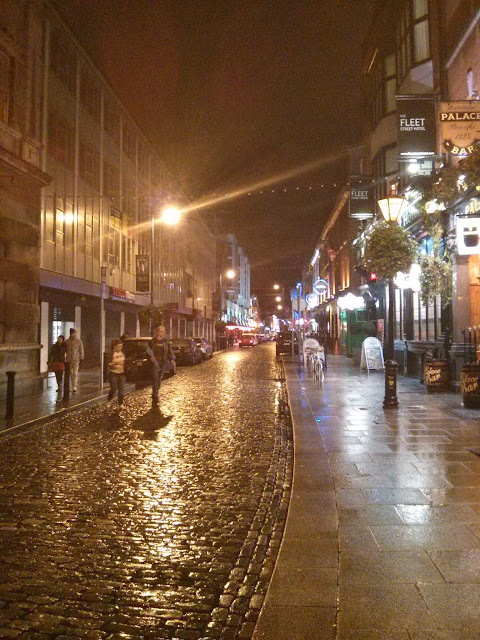 I’ve mostly spent my time in Dublin so far, and Dublin isn’t exactly representative of the rest of the country. I’ve been going through a crash course in Irish history, c/o some of the marvellous museums and attractions they have here, and it looks like for much of its history since being founded in the 800s, Dublin has required defending from the Irish — first when it was a Viking city, and then when it was the “second city” of the English Empire. This weekend I’m finally going to get out of Dublin, to go down to County Wicklow. It’s been a month. As for Dublin, it reminds me a lot of Vancouver, while feeling both bigger and smaller. There’s a lot of history here. For hundreds of years Dublin was built on top of Dublin, and in some places you can see the remnants of the old city walls. Lots of beautiful churches. Lots of beautiful brick buildings. Lots of history. And yet it feels small. Stores close early. Banking hours are short. People seem to just walk everywhere. And compared to pretty much any North American city, Dublin’s ridiculously compact. Working, I guess. And finding a place to live. It took me nearly three weeks of searching. Yep. Apparently there’s always a housing crunch in the fall due to students going to school. This year it just seemed to keep going. I spent the better part of the month bouncing from room to room in hostels, hotels, and everything a bedroom in someone’s apartment. But I’m happy with what I finally found. First night in Ireland. How could I not? 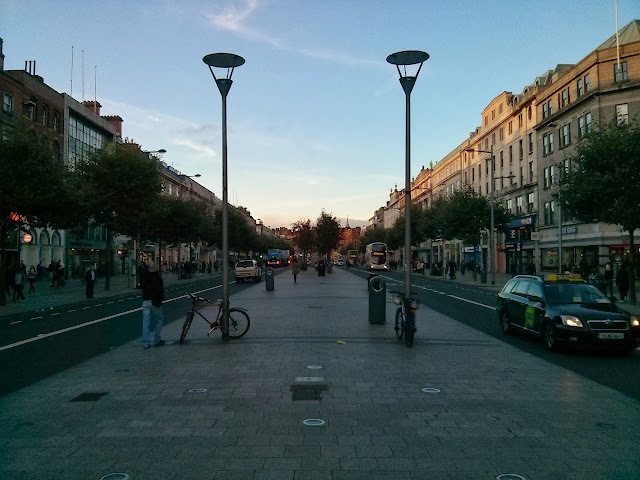 O’Connell St. Massive boulevard on the north side of the river Liffey. Looking down Fleet St in the rain. Temple Bar is one of the older parts of the city, and in the last few decades it’s been rehabilitated into the “entertainment” district. So lots of bars, lots of restaurants, yeah. The actual Irish food here is by far the best thing to eat. 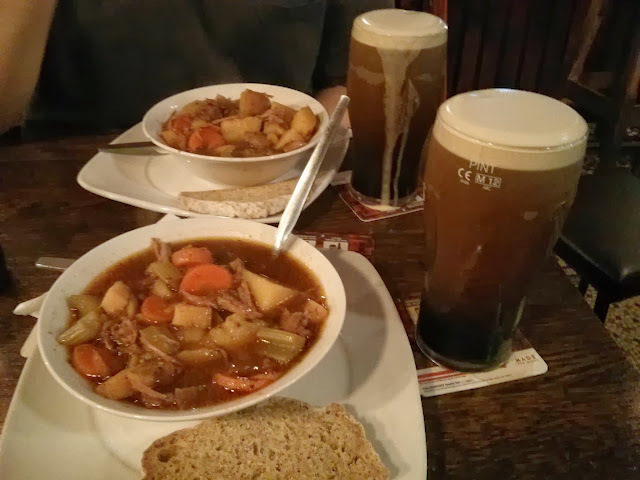 Unfortunately it seems that most of the restaurants in Dublin serve non-Irish food… which makes sense, because people can make their stews and such at home. 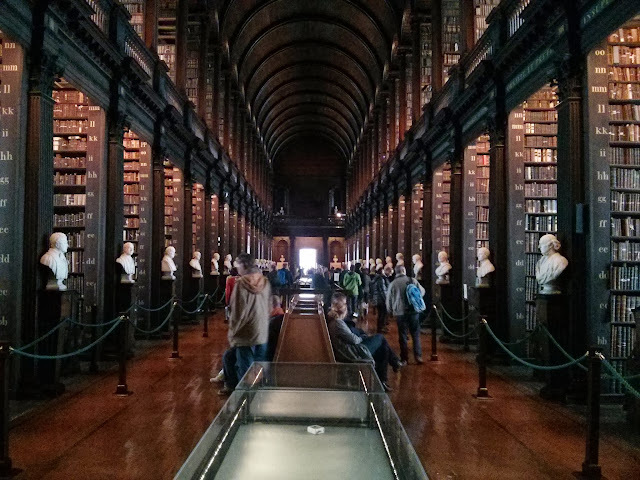 The Old Library at Trinity College. Beautiful room. Bibliophile fodder. I wandered into a vaguely sketchy area in the Docklands one night. 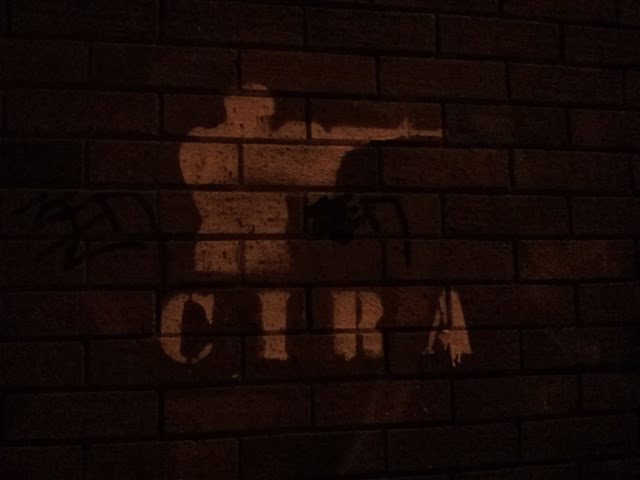 Apparently the IRA is still a thing. I haven’t yet dared bring up Northern Ireland or any of that stuff with anyone. 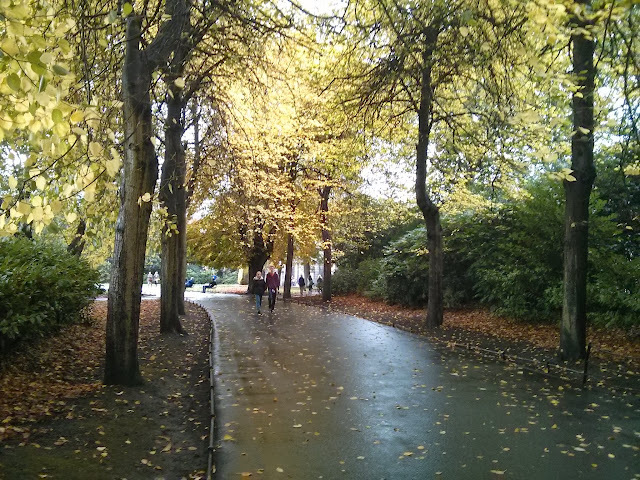 Stephen’s Green. Beautiful little park. Ha’penny Bridge, across the Liffey. Merchant’s Arch, I think. 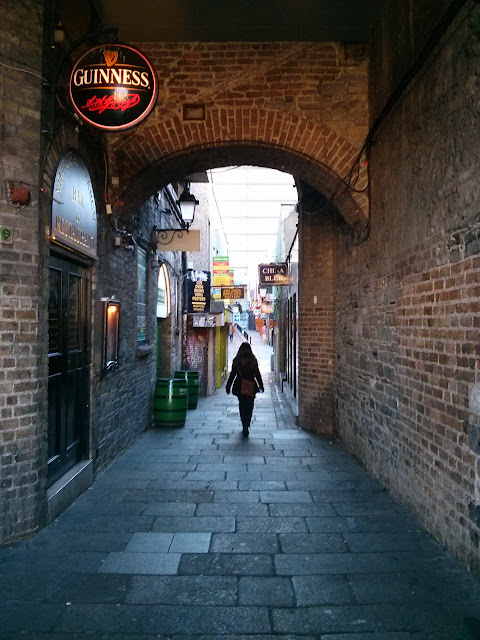 It goes from Merchant’s Quay into Temple Bar. I believe it’s right at Ha’penny Bridge. Part of the remaining city wall along Cook St. I believe it dates back to the 1200s. 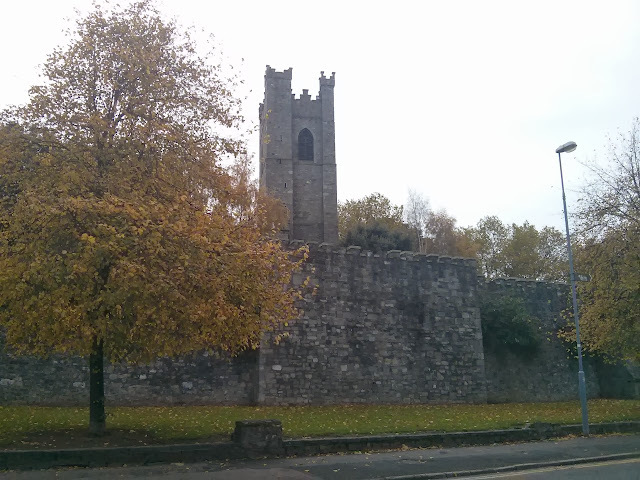 The building in the background is part of St. Audoen’s Church, Dublin’s only remaining medieval church. 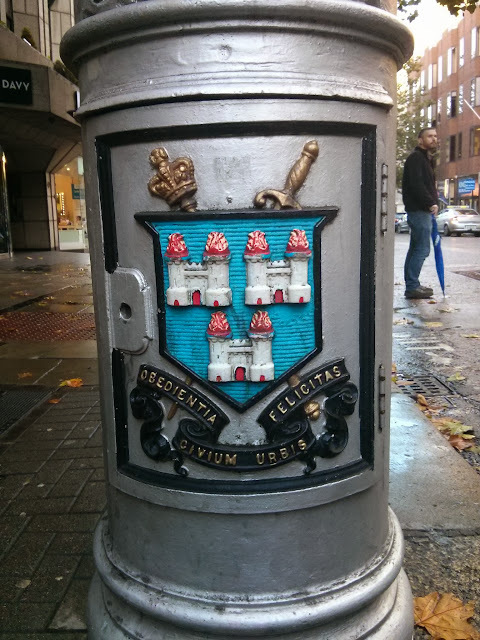 Last but not least, the Dublin Heraldic Crest. The Latin motto translates to “The obedience of the citizens produces a happy city”, which is pretty funny. The crest is so old that no-one actually knows for sure what the three burning castles are supposed to represent. Marc: Good to hear from you. Lovely photos. Dublin was the second city of the English Empire? Not Edinburgh, or some English city? Don’t forget, beer is as authentically Irish as the English language; the real native drink is of course uisce beatha. In Algeria, I had the same problem finding local food. The busts at the Old Library, whom do they show? Romans? Enlightenment philosophes? Notable Irishmen? 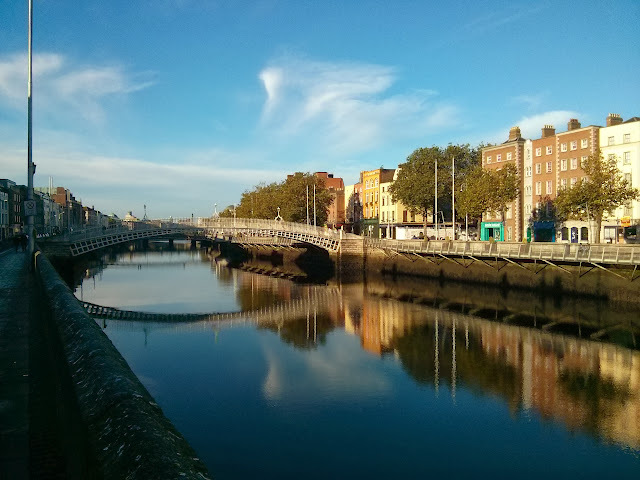 What’s the Ha’Penny Bridge made of? Timber? Steel? How do the arches resist the horizontal thrust at their supports? It’s probably very obvious, but Dubliners is well worth reading; A Portrait of the Artist as a Young Man as well. Donna Gregoire: Wonderful account, Nigel. Just wish that I was as adept as you in doing an informative blog! I’m not sure about the empire as a whole, but apparently it was in consideration as the unofficial “second city” of the UK. (http://en.wikipedia.org/wiki/SecondcityoftheUnited_Kingdom) The Georgian buildings all over Dublin are from that time period. That reminds me, I still need to take the Jameson Distillery tour. I remember a bust of Shakespeare, and another of Aristotle. Google would know more, I’m afraid. … Metal? http://en.wikipedia.org/wiki/Ha’penny_Bridge Cast iron, apparently. Monique Grégoire: Great pictures Nigel, Reading your mails reminds me James Joyce and the Dubliners, that I read recently. The name of the streets Joyce refers to are the same as the ones you took pictures of. You didn’t talk about music! Did you have time to see shows, to hear irish music? May be it is too early to ask you that question, but as you are a music lover, I guess you will explore the musical scene at one point. The first, and only time, I went to Dublin, I saw an opera…I dont remenber what it was, I just remember that singers bis many arias that people enjoyed, that was great! Donna Gregoire: Such an interesting recount, Nigel. I really like the format. I just wish that I was as adept as you in writing a blog.